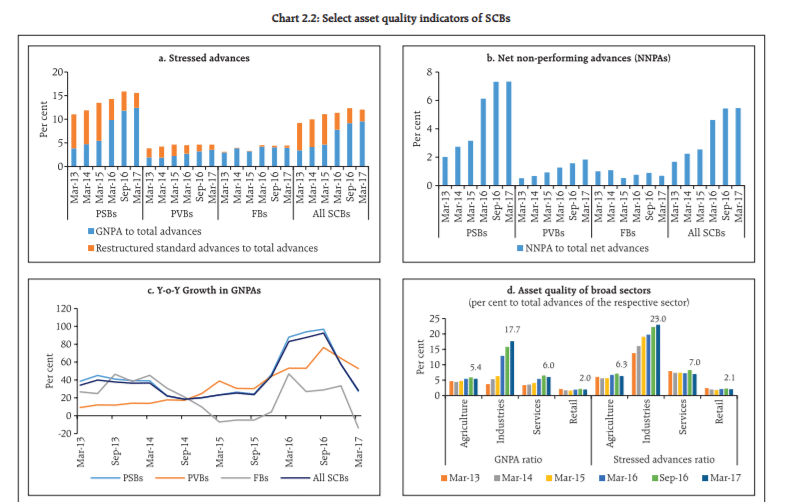 RBI has a macro-stability report on its site and in there are some interesting gems. One of them is this juicy little factoid: That the top five borrowers can increase the system NPAs (bad loans) from about 10% right now to 24%! 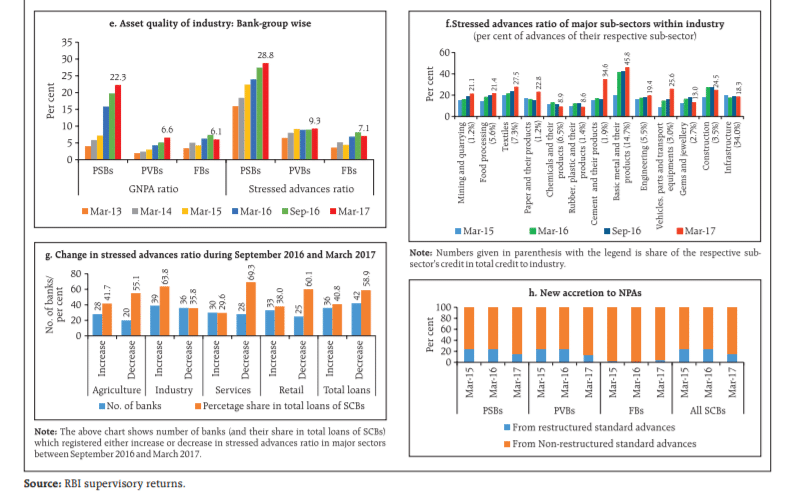 Essentially, Public sector banks are looking at stressed advances as nearly 29% of their total loans, and that’s been increasing. Even private sector bank GNPAs average around 6.6% which is much much higher than three years ago. And from the last graph: nearly all or most of the NPAs are from non-restructured standard advances. Meaning, loans they didn’t see as stressed and restructure earlier. Or, put another way, most bank defaults seem to be unexpected. Bank Stress is not considered a big deal. But remember that stress in credit is one part of the system. There’s also risk of, say, the dollar moving up and FIIs selling (and hurting liquidity and the USDINR equation). There’s a risk of a foreign credit issue hurting us, such as an ECB raising rates. Interest rates might rise too, and that adds to bank woes. But what’s a bull market if it doesn’t care about silly things like a few borrowers defaulting. You just buy anything and it goes up – while the heat keeps building up on the inside. There’s no need to be bearish and sell everything, but there’s a strong need to not buy into the India story without knowing what’s potentially wrong about it.